Estera loves to read. In her fifth-grade class at the Ruth School, Estera’s favorite subject by far is the Romanian language, and she lives to devour children’s novels. But some of her most cherished stories are the parables that Jesus tells in the Gospel of Luke, many of which she now knows by heart. “My favorite parable from the Bible is the story of The Lost Sheep,” Estera explained. 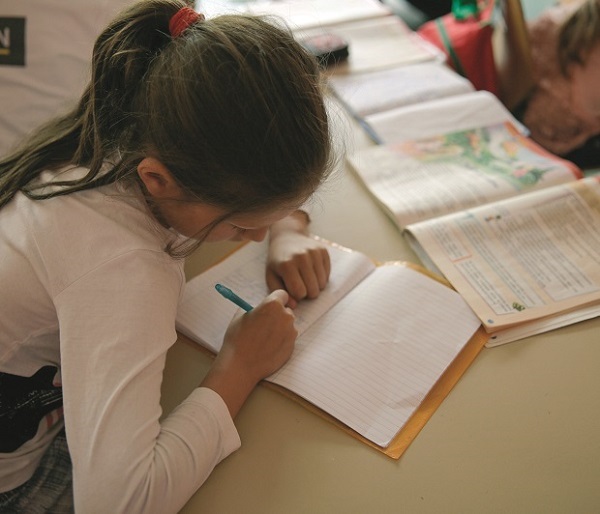 At the Ruth School in Bucharest, Romania, Roma children learn to read and write as well as learn about God in a place that accepts them and empowers them. For Estera, understanding God isn’t a complicated process. 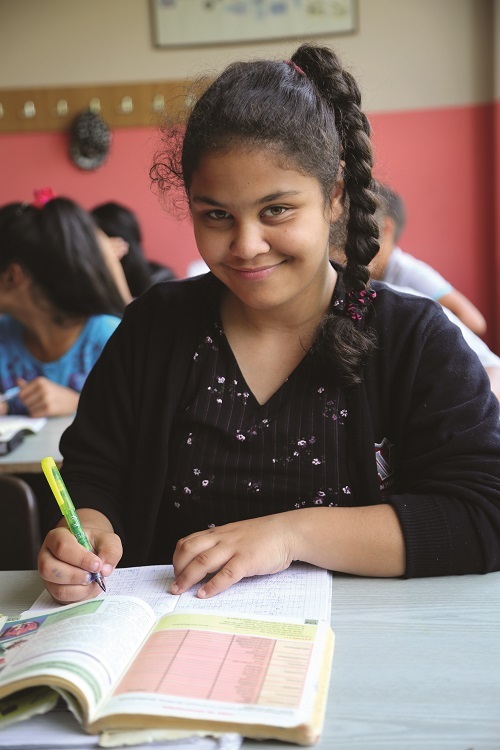 God is simply the kind of God who goes after lost things, who looks for and after those who have been cast away or fallen through the cracks — especially Roma children just like Estera. This is the story of the Ruth School, an organization sharing Christ’s great love through literacy ministry among Roma families living in poverty. The Ruth School serves 240 children, 80 percent of whom are Roma, and provides literacy training and educational recovery to kids of all ages. With support from the CBF Offering for Global Missions, the Ruth School is loving God, teaching neighbor and being transformed as they seek to empower students and help them to integrate into Romanian society. Located in the Ferentari neighborhood of Bucharest, one of the poorest and most marginalized communities in the world, the Ruth School operates as part of Project Ruth, a partnership between Romanian Baptists, the Cooperative Baptist Fellowship and its field personnel Ralph and Tammy Stocks, as well as Providence Baptist Church, a Ferentari congregation that founded the school in 1992 to address the glaring needs of children in their neighborhood. “Originally, the young people of Providence Baptist noticed that Roma children were roaming the streets at all hours of the day and evening, so they decided to invite them in,” said Ralph Stocks, one of CBF’s field personnel and area coordinator for ministry teams. Roma children often experience tremendous discrimination in public schools, Stocks noted, though the law allows them to enroll and attend. Once there, Roma students are typically labeled as mentally deficient and corralled into their own classroom with the newest or most inadequate teachers. This leads to extremely widespread and deep discouragement early in their lives, not to mention illiteracy, he added. In Romania and across Europe, Roma communities continue to experience systematic discrimination and many countries still uphold a long tradition of open hostility toward the Roma people. Where many Roma are concentrated in Bucharest, hate speech is a usual occurrence and Roma, young and old, are largely denied economic opportunities like employment or proper schooling. Teaching literacy is fundamentally an economic issue, emphasized Georgiana Mitran, a former Ruth School student. In a classroom at the Ruth School, Roma children are given opportunities to receive an education that does not discriminate based on their cultural background. Here they are taught to read and write in the Roma language and Romanian as a means to succeed in society. Mitran first came to the Ruth School as a 16-year-old who had only completed the third grade. She was denied enrollment in the local public schools and the Ruth School was the only opportunity she had to complete her basic education. After a few years, Mitran not only completed literacy training but also became a caregiver with the after-school program at Project Ruth. Mitran and her husband now have two children — Mathias, a first-grader at the Ruth School, and Maya, who attends the nursery school. She wants to instill in her son and daughter not only the value of education but also their own intrinsic value as children of God. “The most important thing for these children to understand, especially Roma children, is that they are marginalized solely because of their origins,” Mitran said. 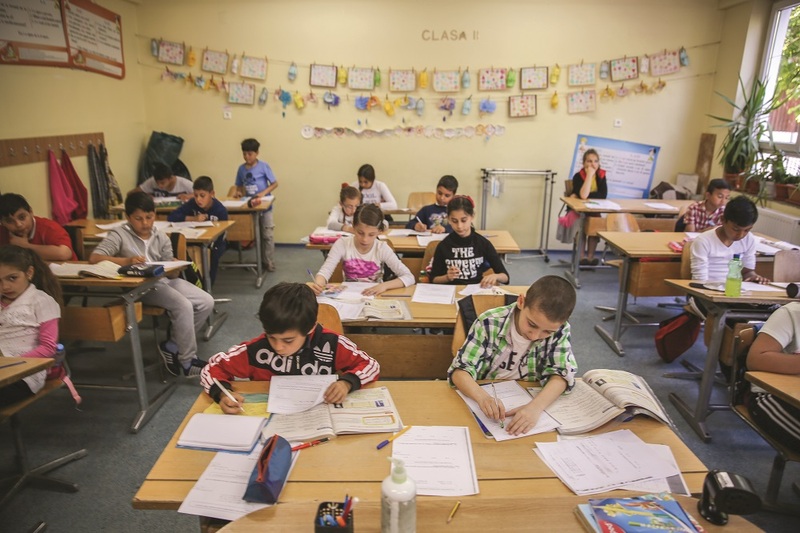 Beginning with kindergarten and moving through eighth grade, the Ruth School is making such development possible for Estera, Mathias and all of their fellow students, primarily by ensuring they can read and write in Romanian, a highly legitimizing factor in society for the Roma. But Mihail Ciopasiu, executive director of Project Ruth, pointed out that teaching your neighbor is about much more than reading and writing. “The Ruth School is not just about providing basic education, which is compulsory according to the Romanian curriculum, but rather about approaching the child in a holistic way,” Ciopasiu said. Providing a hot meal each day is one of the most critical steps in the educational process, Ciopasiu stressed, because many families lack the resources to send their child to school with a lunch. After spending as many as eight hours of a given day at the Ruth School, students return home fed and having already completed their homework — a tremendous leg up for Roma families who often live without running water, electricity or heating. Additionally, the Ruth School employs a social worker tasked with identifying children with special needs and helping many of them make the transition to high school after the completion of their primary education. For Project Ruth, however, teaching neighbor is not just about children, but about people of all ages. In addition to the Ruth School, the CBF Offering for Global Missions continues to support the Obed Day Center, a two-year preschool designed specifically to prepare young children for school by teaching colors, shapes, letters and numbers — the foundational skills necessary for literacy. Project Ruth continues to empower Roma clergy through the Gypsy Smith School, an eight-week theological literacy program for Roma pastors. Estera knows that there are benefits of an education that extend beyond the fifth grade and help the entire family. Estera said her favorite thing about school is getting to make new friends as she passes through each grade. Estera’s mother even lets her play in the park or visit a friend when she receives good grades from her teacher. But even a fifth-grader knows that learning to read and write means so much more than friendship or rewards. Through the work of CBF field personnel, Romanian Baptists, Providence Baptist Church and partners around the world, Project Ruth and the Ruth School are bringing renewal to God’s world through literacy ministry in Bucharest, Romania. Tammy Stocks, CBF field personnel and area coordinator for mission teams, said her vision for the Kingdom of God in Bucharest and globally is looking beyond color, beyond ethnicity and beyond income to form together and be transformed. Learn more about the 2015-2016 Offering for Global Missions and find free resources to promote the Offering at www.cbf.net/OGM.